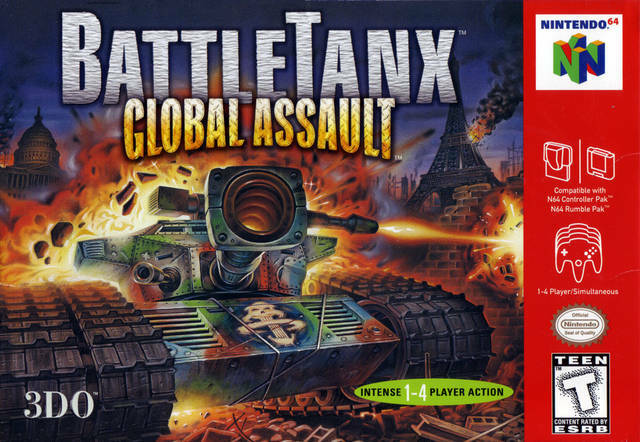 Battle Tanx: Global Assualt for Nintendo 64 is the sequel to game of the same title. In the year 2002 the world has turned into a diseased, post-apocalyptic wastelands. 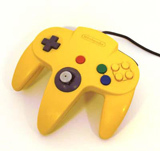 As the human race struggles to rebuild society, a young boy who possesses rare tele-kinetic abilities holds the key to a better world. However, an evil QueenLord wants this boy's powers for her own so that she may destroy what is left of civilization. 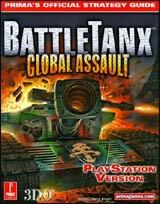 Using a variety of tanks and weapons, players must rescue this powerful child from the hands of evil and deliver him into the safe arms of the allies.